Emily Current and Meritt Elliott have Collaborated yet again to bring us this vintage inspired line. 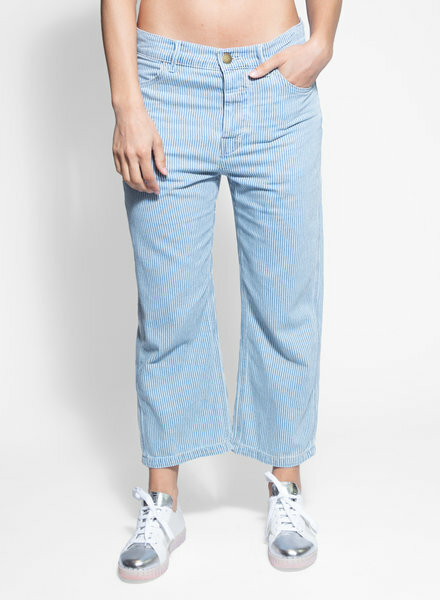 Though known for denim, the two women play more with traditional silhouettes, combining masculine and feminine styles with playful flair; basic pieces with dramatic details. 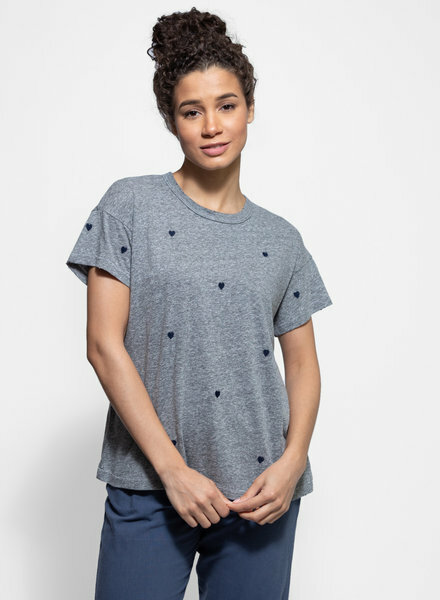 Above all, Current and Elliot aim to design clothes that feel comfortable on any woman's body. 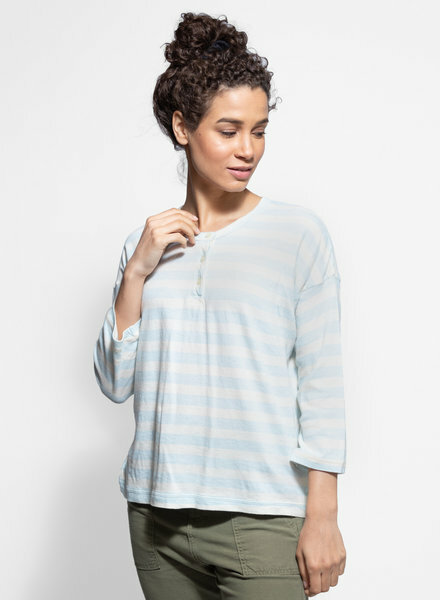 A relaxed-fit tee with angled sleeves and embroidered hearts throughout. A henley tee with a drop shoulder, button placket, and boxy fit. Short sleeve, button up top with elasticated, billowy sleeves and delicate embroidered detailing on the collar. Classic, short sleeve button up shirt updated with dramatic butterfly sleeves and inset shoulders. A long sleeve, button up top with ric rac detailing along the neck, button placket and cuffs. A cotton hoodie with ties that lace at neckline. 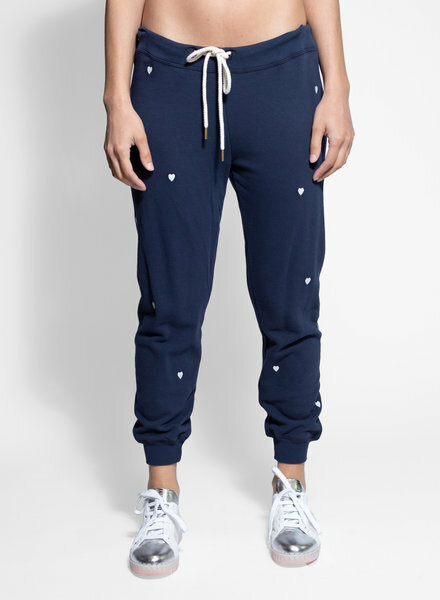 A classic college style sweatshirt features a vintage wash and the signature slit on the left cuff with embroidered hearts. 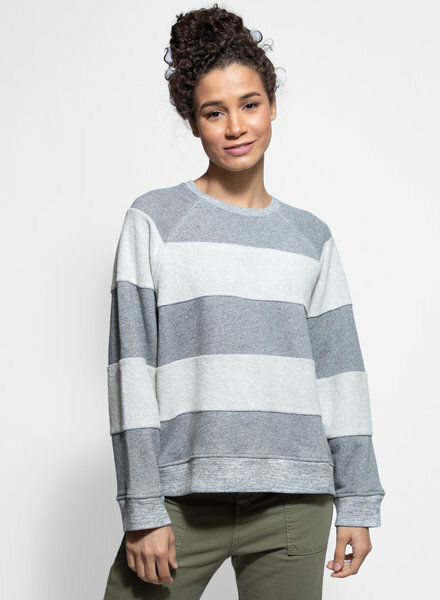 A boxy, crew neck sweatshirt with alternating exposed French terry stripes. 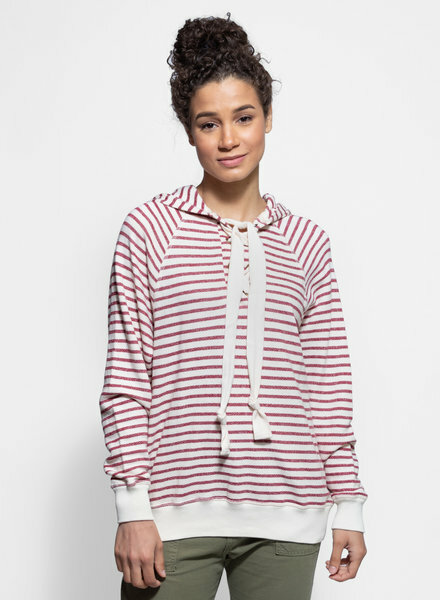 A slightly cropped sweatshirt with ribbon and ruffle detailing along bib. 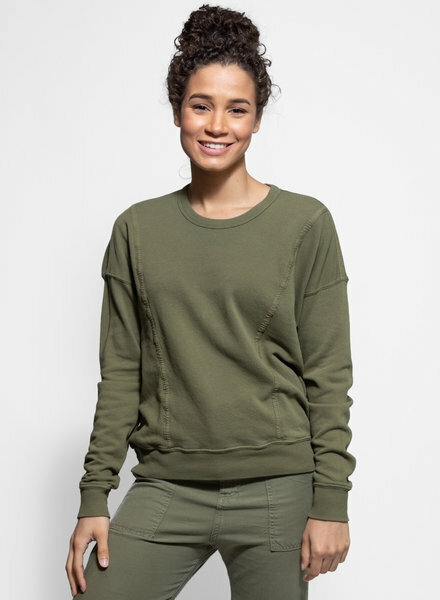 A crew-neck sweatshirt with distinctive workwear inspired seams down the body. 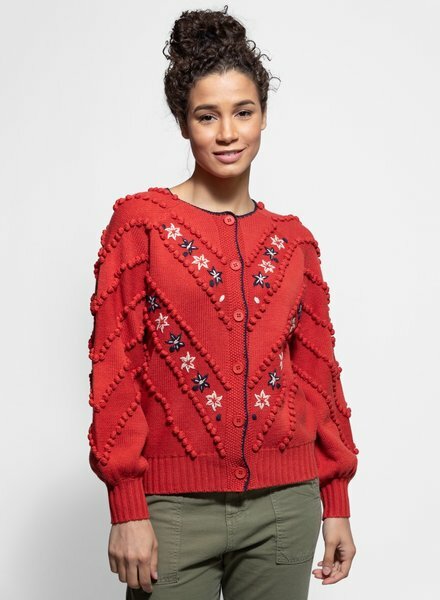 Button front cardigan with slightly billowed sleeves, bobbles and starflower embroidery. 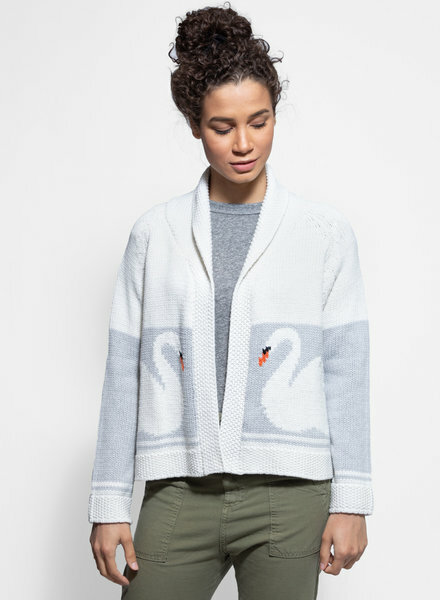 A shawl collar cardigan with an open front and slight swing at the sweep in a vintage swan motif. 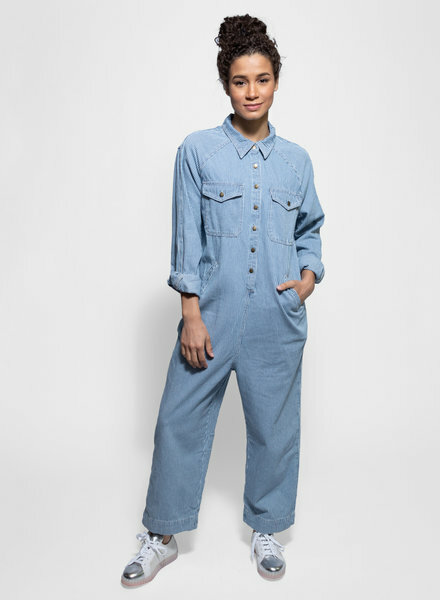 A slightly relaxed jumpsuit with button down front, side pockets, and a cropped hem.